A secure equilibrium is a refinement of Nash equilibrium, which provides some security to the players against deviations when a player changes his strategy to another best response strategy. The concept of secure equilibrium is specifically developed for assume-guarantee synthesis and has already been applied in this context. Yet, not much is known about its existence in games with more than two players. 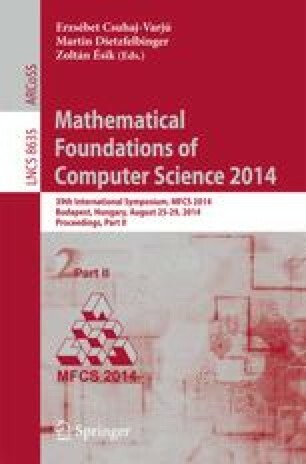 In this paper, we establish the existence of secure equilibrium in two classes of multi-player perfect information turn-based games: (1) in games with possibly probabilistic transitions, having countable state and finite action spaces and bounded and continuous payoff functions, and (2) in games with only deterministic transitions, having arbitrary state and action spaces and Borel payoff functions with a finite range (in particular, qualitative Borel payoff functions). We show that these results apply to several types of games studied in the literature.